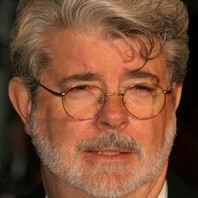 Director and producer who is best known for creating the groundbreaking science fiction franchise Star Wars. He first received acclaim for his 1973 coming of age film American Graffiti and he also created the action hero Indiana Jones, most famously portrayed by Harrison Ford in the original 1980's trilogy. @MikaeloKunexar Could you point me in the direction of who made this statement and where it is published? @isaac_qwert That's a good question. Depends who you are.